Business leaders have warned that continuing uncertainty could bring paralysis and cause long-term damage to the infrastructure sector, following Tuesday night’s huge Commons defeat for Theresa May’s Brexit deal. After the vote, which the Government lost by 230 votes, ministers held a conference call with senior business leaders, who ‘rounded on’ them, according to Sky News. He added: ‘The enemy of business is delay and procrastination, and the construction industry will face large-scale restructuring where it cannot carry the resources it will need over the next 25 years, and capability will have to be let go. 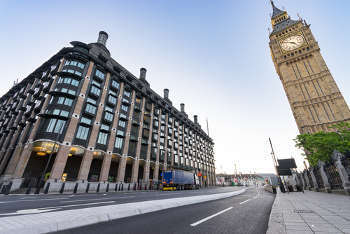 Separately, Mark Robinson, chief executive of public-sector procurement organisation Scape Group, said the vote would would prolong the economic impact on businesses and local communities across the country. He said: ‘One of the biggest concerns for construction bosses will be a further decline in the pound, leading to increased pressure on material prices. The construction materials price index increased 5.3% on the year in January – a significant jump which has seen the cost of net imports from the EU rise to the highest level since 2011. Combined with the ever widening skills gap – many will be wondering how they are expected to deliver projects at the necessary rate. Guy Ranawake, investment director for the infrastructure team at investment firm Ingenious, said the vote makes it ‘highly likely that the date of the UK’s departure from the EU will be pushed back if not indefinitely postponed’, which would mean that both internal infrastructure and the external infrastructure that is linked to Europe should continue to operate as normal at least through to 29 March ‘and probably beyond’.